Did you know that one month ago from today I published my first post on Beautifully Nutty?! I can’t believe it’s been a month already. BN is still a long way from where I want it to be but it has progressed quite a bit in the last month and I am very proud. Thank you for sticking with me being I am a rookie with this. I promise it’s just going to get better and better with more recipes, motivation, and hopefully inspiration to live a healthy life full of delicious food. Thank you to all of you for supporting me as I get this blog up and running. What better way to celebrate the day than by having peanut butter not once, but twice today. I thought it was a good idea. 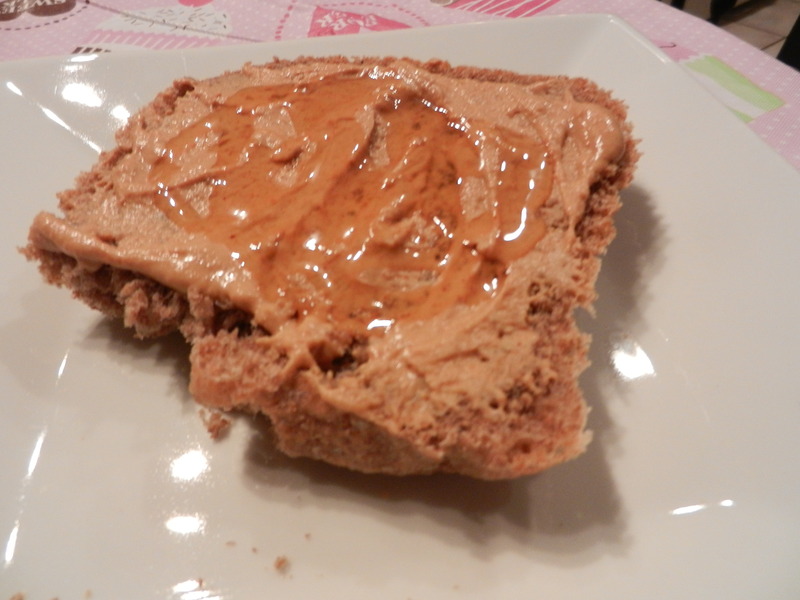 Breakfast was cinnamon bread (new recipe to come soon) with PB2 and honey. I couldn’t for the life of me get a good picture of breakfast this morning. Lunch is all packed up and ready for me at noon. It includes an ol’ favorite…peanut butter banana wrap but with a twist! I may or may not have added some turkey bacon to it, which was leftover from dinner last night! Isn’t that what Elvis used to do? Or did I just make that up. It sounds really weird but it seemed like a good idea to me last night when I was packing lunch. I’ll let you know how it tastes. I also packed a huge bunch of veggies and a nice big juicy apple. Speaking of dinner last night. This one was thought up by Dana. We had all of the ingredients for a B.L.A.T. Bacon (turkey), lettuce, avocado, and tomato on homemade whole grain bread, toasted, with a little sprinkle of onion powder over the tomato. Okay, I’ll have that please. If you’re wondering, yes, I did put mayo on my bread. This doesn’t happen very often, you may want to mark it on your calendars. 🙂 It was a delicious sandwich which I enjoyed while watching the Grammy’s. Jennifer Hudson did a knock-out job on her tribute to Whitney Houston btw. Now let’s get down to some recipe business. As you all know I have been on a bit of a quinoa kick. 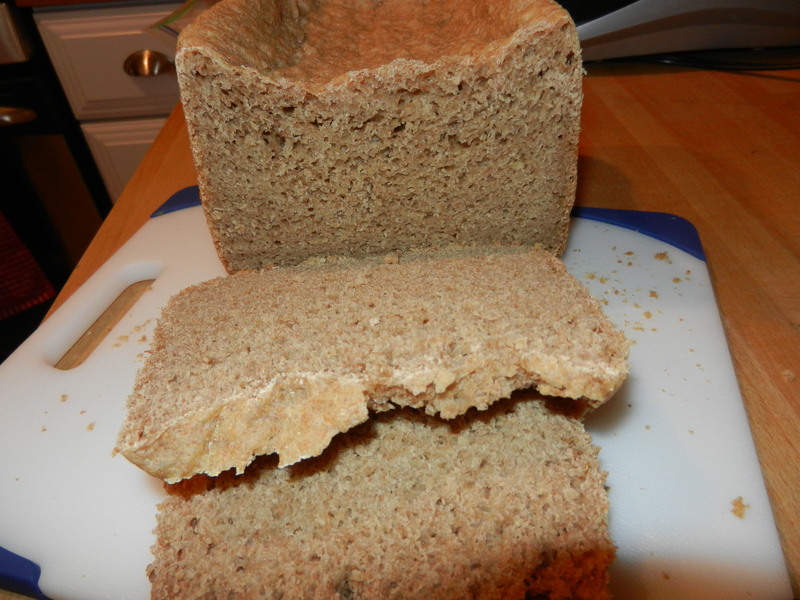 I thought I would try throwing some into a whole grain bread recipe, set it in the bread machine, and see what happened. 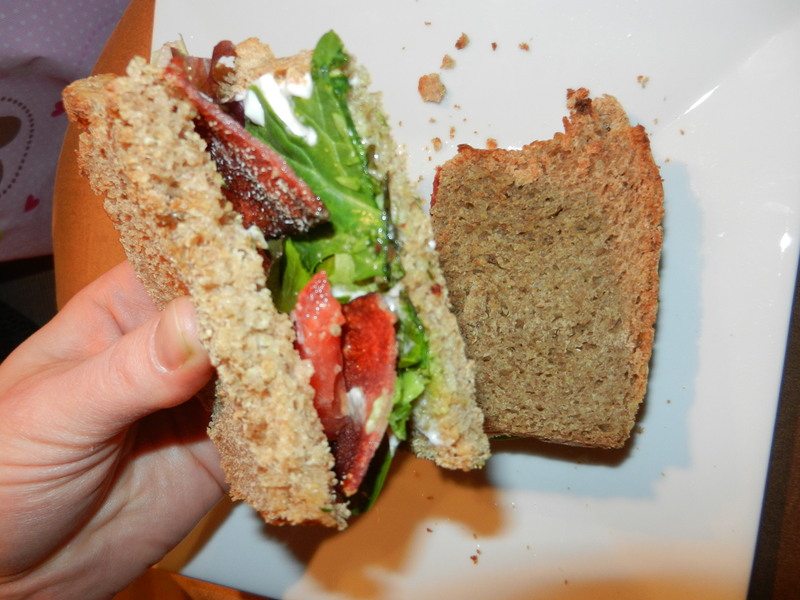 The result was a very hearty, nutty, delicious and healthy bread! Perfect for savory or sweet sandwiches. I have to share the recipe with you. Add all ingredients into bread-maker. Set it and forget it. Off to work I go. I hope everyone has a tolerable Monday! Womp wompppp. I love Mondays. 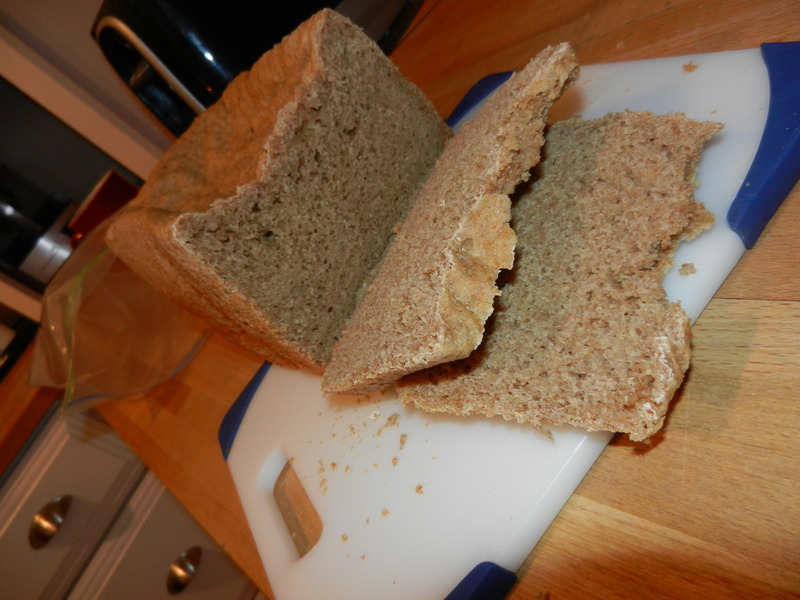 This entry was posted in Blog, Dinners, Recipes and tagged Blog, bread machine, peanut butter, Quinoa by Melanie. Bookmark the permalink. Keep up the good work, Melanie. I’m nuts about habanero almonds…3 or 4 does it and you’re ready for a Dew! They are amazing! They were a Valentine’s gift to Dana but I think I’ve eaten more than he has! I hope you are all well! Hi there, I just stumbled across this whilst looking for how to add Quinoa to my normal bread machine recipe. I’ll try this Thank you! Sorry I’m a few years too late but I hope your blog has “Risen” beautifully!